Strawberry Biscuit is the delightful new range of fabric by Elea Lutz for Penny Rose Fabrics. It's sweet. Really sweet. I love the girlie colours and super cute prints. Strawberry Biscuit is fantastic for fussy cutting too. I love the cute little bunny rabbits and the berry prints. 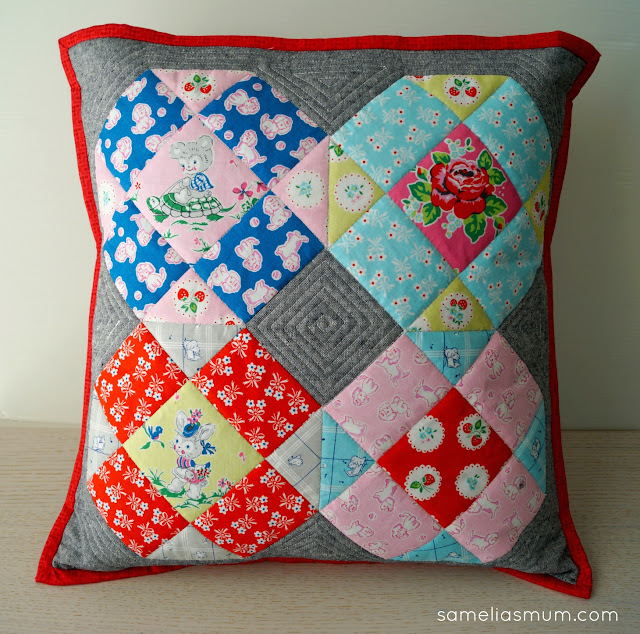 I resist creating this pillow project, with a little bit of fussy cutting. The English paper piecing pattern is quite simple - I created the template with Google Draw (my favourite place to create EPP templates). After putting the blocks together, I placed them on point for a fun effect. I sewed the EPP blocks with small slip stitches in a neutral shade of cotton. Once the blocks were together and attached to the background fabric, I layered 2 pieces of cotton batting to the back and then used Aurifil 50wt cotton to quilt in the ditch. Normally, I dislike stitching in the ditch, but in this instance, I really love the effect. Each piece looks puffy. I finished this pillow top by echo quilting the centre and around the edges. If you would like to create your own pillow withthis EPP design, you can print the pattern from here. If you use this template, I'd love to see what you create. Strawberry Biscuit is distributed in Australia by Millhouse Collections. Check their site for your local stockist. LOVE the fabric and this cushion is fantastic - thanks for sharing the block pattern. Lovely pillow! Love the fabric! Thank you for sharing! Very cute and thank you for sharing! Love all the inspiration all of you have! love your patterns. how can I print them? What a cute pillow!! 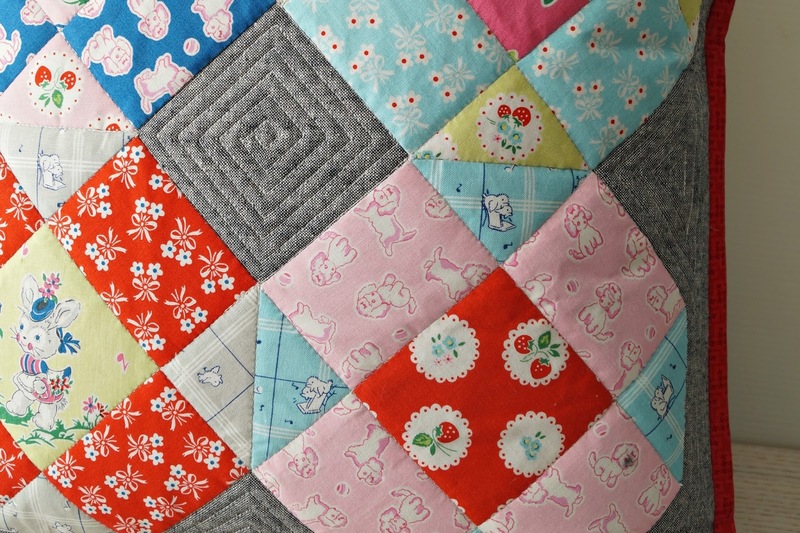 I love that it can be made with charm squares, or even some scraps. But I also wonder how it would look with just one (enlarged) pattern in the center--I may have to try that!